With Help to Buy, Devon homes can be within your reach much sooner than you may ever have imagined. Help to Buy is a Government funded scheme that helps both first-time buyers and existing homeowners to purchase a brand new property. 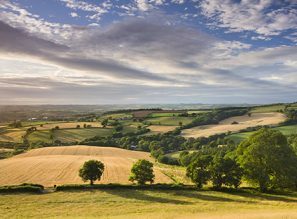 When it comes to Help to Buy, Devon locals and those looking to move to the area will be pleased to hear that a number of our properties are available on the scheme. As our video above explains, the initiative combines a low 5% deposit with a 20% equity loan from the Government and low mortgage rates for the remaining 75% of the property’s value. Watch the video for an example of how costs are broken down for a £200,000 property. 1. Once you’ve found your ideal home on one of our developments, you will need to put down a deposit of 5%. 2. The Government will provide you with an equity loan of up to 20% of the value of the property. This loan is interest-free for the first 5 years and can be repaid at any time within 25 years (or the term of the mortgage) or on the sale of the property. 3. You then secure a mortgage for the remaining 75%. This is the same as a standard mortgage but you will usually receive much lower rates than you would for a 95% mortgage. As you can see, with Help to Buy Devon locals and those looking to move into the area can greatly benefit. 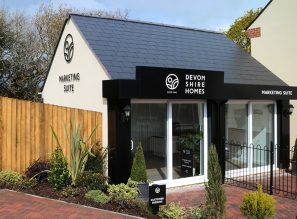 Exceptions to the scheme are listed below, but if you are unsure whether you are eligible or have any questions about how it could help you purchase your dream property from Devonshire Homes, please contact us and we will be happy to help. Help to Buy is only available on new build homes.Your new home will be covered by an overall 10-Year NHBC or LABC warranty with the initial 2 years covered by Devonshire Homes. Your mortgage must be capital repayment (not interest only). Help to Buy is only available on properties occupied by the mortgage holder(s) (not buy-to-let). The property can’t be worth more than £600,000. Thanks to Help to Buy, Devon properties are well within everyone’s reach. If you would like more information regarding the scheme, please get in touch. Our customer service team knows the ins and outs of the scheme and our advisors are ready to answer any questions you might have.